Last week I created a post grouping some of the most popular vintage fonts around. 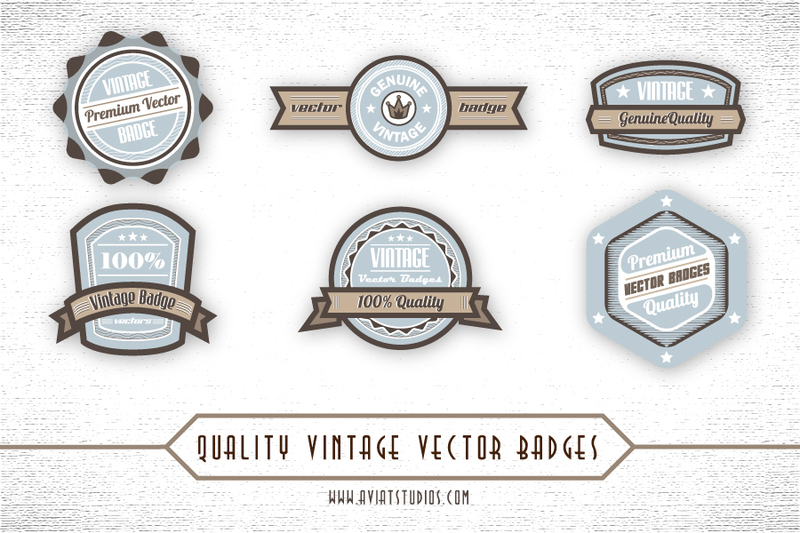 Remaining in the vintage spirit, and after scouring the internet in search of inspiration for a new post, I decided to create some vintage vector badges and share them with you guys. A few hours later. . . I finally managed to design 6 high quality vector badges. You be the judge and let me know if you like these. Depending on the feedback I receive, I might or might not give another go a these vector badges. Don’t forget to share these designs if you like them and make sure you follow the “Terms and conditions” in order for all files distributed on this site. Hi, I do think this is a great blog. I stumbledupon it ;) I’m going to revisit once again since I book-marked it. chatting about this. I will forward this article to him. 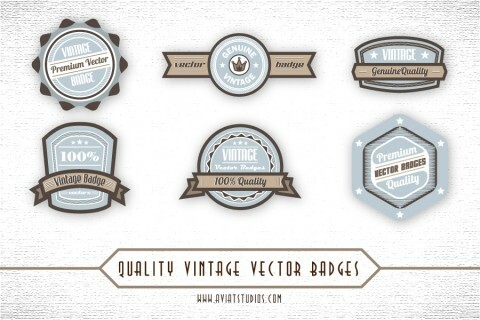 100+ Free Vintage Badges That Are All the Rage! Thanks a lot, I appreciate the fact they’re appreciated xD. Really nice work! What fonts did you use? Hope that helps, cheers to you! Everyone loves what you guys are up too. This type of clever work and exposure! Wonderful website. Plenty of helpful information here. Very shortly this website will be famous amid all blogging viewers, due to it’s pleasant posts.